The Savior dealt with a lot of leadership drama. For the most part, people hate leadership. He worked the works of Our Father. There were many before Him who had been given preternatural tasks great and small. The work that was given to The Savior was greater than anybody’s work. He had to deny His flesh more, fast longer, vessel secrets of The Word more eloquently, pray more deeply, suffer more and longer, and He had to shepherd more people but with less worldly resources. He was however, given more grace. With this being said, The Savior had to be perfected more too. Those are some pretty serious promises right there. They aren’t just YHVH telling Abram that He will take care of him. It is YHVH telling Abraham that the entire world will be bent based upon how they treat Abraham’s family. Notice that it does not say “I have made of you a great nation,” or “Your name is great,” no no no, the implication here is that the both of them had a lot of work ahead of them in order to fulfill The Savior’s promise that He “will make of you a great nation.” And indeed Abraham is our patriarch because he accomplished Elohim’s work put before him. It goes to show that putting Abraham in a place of great honor is no mistake by anyone, including our Israelite brothers and sisters. We rightly honor our patriarchs. They were hard working, faithful, life giving beings who loved YHVH with a great deal of strength. Does it stop there though? Is it Abraham that saves us? No. In fact, if one were to put their faith in Abraham they would find a brusque response falling upon their ears on judgment day. The Savior was given an opportunity to describe His character to the Israelites after healing a man by the pool at Bethesda. The people pushed back at Him because He was breaking man made laws that were based on His word, but were an adding to or subtracting from, sometimes both: a very grave sin. In defending Himself He was able to describe Who He is, “For as The Father raises the dead and gives them life, so also The Son gives life to whom He will. Elohim judges no one but has given all judgement to The Son, that all may honor The Son, just as they honor The Father.” It is at this point that the glass ceiling that people had put between them and Yeshua shows itself quite clearly. They were using a buffer between them and The Savior because their hearts were not right, because they were being called but weren’t submitting, they were wallowing as pigs in a mire and returning like dogs to their own vomit. It is despicable and will be cast out of The Kingdom, not welcome to sup with Him. Claiming to be greater than The Almighty One is blasphemy. But why do Jews and Gentiles alike get angry when a man claims to be greater than a righteous, yet imperfect man? Being greater than an imperfect yet highly honored man, if true, should be encouraged, yet is met with social sparring and segregation even today. You see, the spiritual glass ceiling is self inflicted, and can only be lifted by accepting, believing in, and acting upon Yeshua’s instructions and commands for you. Please remember this when in your churches. The world needs acts of kindness even if the heart where the act is coming from is not true to YHVH. Religious games are played, and currently held “truths” of the Bible; current political correctness; and what is currently viewed as professionalism, matrix the point system. Those games will come to nothing, but will continue to be played and bless those who play them. We though, testify of The Savior with our hearts, minds and strength courageously. In Genesis 2:1 we learn that when God created a week, He placed a gift at the end of the week. On the seventh day, God rested, and He sanctified and blessed that day for us. He made a day where the very nature of the day is to help us rest. Can We Trust This? What about The New Covenant? Now that we understand why we rest on a specific day, here is proof that He loves us: in Exodus 20:8 He commands us to practice the day of rest. Why is this love? It took from Genesis 2 until Exodus 8 for it to go from an optional gift to grasp to a necessary gift to grasp. We never have to ask, “Does God actually want me to take part in this blessing?” because there is no question: His intentions are clear when He makes a day for rest and then commands us to utilize it. God does not build a hot tub to be looked at, but to be utilized. If you miss the hot tub and end up in the snow next to it, that is your own fault. Constantine’s Edict of Milan and the events following the Battle of the Milvian Bridge (4th century) caused some serious misconceptions about Christianity to grasp the world we live in today. Sunday is just the start of it, no pun intended (It is a pun because Sunday is the first day of the week. The start of the week. . . Oh man. I crack myself up). Prior to The Battle of the Milvian Bridge, it is written in history that Constantine had a dream, as told by Eusubius his bishop friend and mentor, where Constantine was told to use the symbols from the Greek alphabet Chi and Rho in order to win in battle. He placed these symbols, transposed, on the shields of his warriors who won at the bridge of Milvian against Maxentius. This battle made him much more powerful than he was previous to the battle. The nature of the world that we live in is this: The Lord sows seed, and then Satan tries to steal, kill, and or destroy the seed. If you have had a God moment, you can bet your assets that Satan will be there shortly if you are not on your guard and in Yeshua (Jesus’ Hebrew Name). God made Constantine a promise, and right before He was about to make good on that promise, Satan comes in and tries to tamper with the credit: A second vision occurred, not while Constantine was sleeping, but in broad daylight where he and his entire army (Chi Rho on their shields as per God’s advice), on the way to the battle saw a lighted cross in the sky with an inscription under it: “by this symbol conquer”. WHOA WHOA WHOA. Hold the bacon. 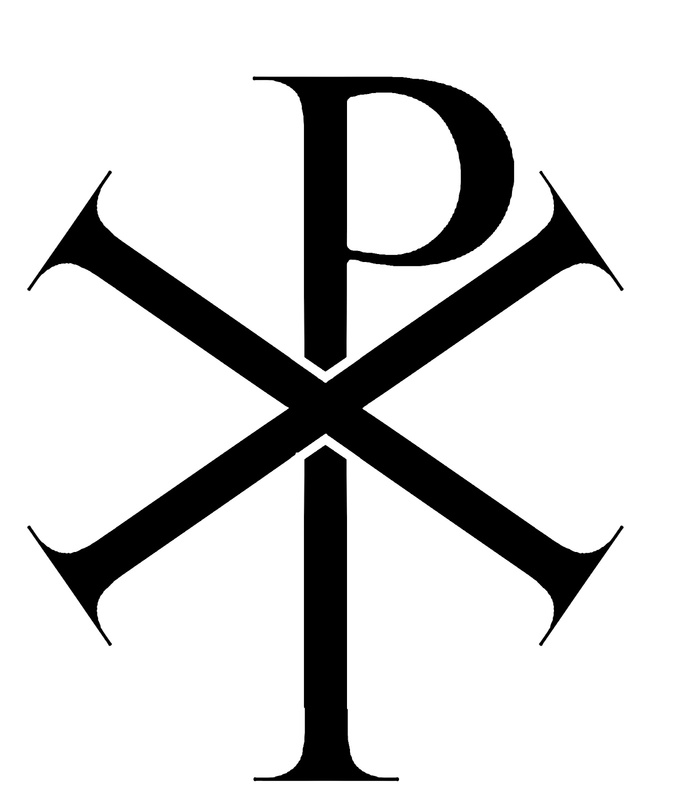 Constantine was instructed to use a symbol to win in battle. Now, while on the way to a battle he sees another vision telling him to use a new sign. In the confusion, Constantine pressed on and won. I believe the first sign is from God, and the second sign was from Satan. Here is why: The scriptures tell us to use the name of Our Savior when we are in trouble. The scriptures tell us to make no graven images. God would have instructed a man to use the first two letters of the name “Savior.” Satan would have instructed a man to be disobedient. Prior to Constantine’s battle, which he won as his first vision promised, he was a Mithraith (sun worhsipper). Sun worshipers had a holy day: the first day of the week. Post-victory it seemed Constantine was taking Christianity seriously. He converted, and declared that everyone that worked in his army and within his governing body must become christian as well. Now we have a bunch of obdurate pagans running around forced to say that they are Christian. That maelstrom must not have been much fun for the true Christians, and I bet the Pagans weren’t happy about it either. On the bright side, all the money and property that Constantine’s dad, the previous Roman emperor, confiscated years earlier was given back to the true Christians. Plus, it was made legally known that all Christians may practice their religion as they saw fit (Edict of Milan, 313 AD). It was about 8 years after this Edict of Milan that a law was passed stating that the national and lawful day of rest is Sunday. With the help of the Catholics, this law was enforced, not only by the government, but by the church. Now we have sun worshippers, whose special day is the first day, forced to be shoulder to shoulder with God worshippers who were encouraged to break covenant from Saturday and worship with the Pagans. I do not have any idea how this lasted, but Satan made it work somehow. He won that battle. At that point and now, we have exactly what God had basically ordered the disobedient to do: practicing the commands of men as if they are scriptural doctrine. They worship me in vain, teaching as doctrine the commandments of men is what the scripture goes like in Matthew 15:9.